We all use online banking for transfer of funds and usually the method that most of use is NEFT. However convenient it is, what would you do if the money is transferred to a wrong account or you have received the money from a Wrong Account? NEFT or National Electronic Fund Transfer is used for transferring funds online from one account to another, anywhere in India. It is convenient mode of fund transfer and most of the recipients receive the money in a day or two. There is however a nominal transfer fee in case of transaction from one bank to another while same bank transactions are often free of cost. Anyway, it is a good tool, granted, but there are problems with it too. What if the money is transferred to a wrong account? Or what if one day you find some amount transferred to your account by mistake? Let us see below why is it complicated in these cases. Most banks will need you to add the Beneficiary Account Number twice to make sure that there are no errors in it. Also the entire details will be display on a page for you to cross check again, before you submit the information and confirm the same via an OTP and your internet banking transaction password. These steps are taken to make sure that the entire set of information is error free. The authentication is done with your knowledge and once confirmed you will receive an SMS on your registered mobile number that you have Added X with the Account number xxxxxxxxxxxx as a beneficiary for NEFT transactions to your bank account xxxxxxxxx. All of the above tries to make sure that the NEFT transaction is error free and smooth and also the person adding the beneficiary is fully aware of the fact that a payee is added to their net banking accounts. In case there is any problem you can go ahead and delete the payee or if you have not added the payee, then you should contact the customer care of the bank immediately to intimate them of unauthorised usage of your online banking account. In case of the Amount transferred via NEFT credited to a Wrong Account? As mentioned above, NEFT transaction information is verified and then the payee is added, giving the remitter enough opportunities to cross check the payment details. In such a case the onus is onto you, the person making the transaction to make sure it is error free from Wrong Account Numbers or IFSC code etc. Even after thoroughly checking (and overlooking mistakes) if you happen to transfer the funds to a wrong payee/beneficiary that you did not intend to but happened due to you entering a wrong account number, then the option you have is to contact your bank and inform them about the transaction. Your bank will first check for any technical error on their side during the online transaction that resulted in such an error. Once that is ruled out they will contact the beneficiary bank about the transaction and they will in turn contact the beneficiary who wrongly received the funds. Now once the payee is notified about the wrong transaction, it is up to him/her to authorize the bank to reverse the entry and transfer the money back to you. If they choose to keep the money and state that the money is transferred to them and belongs to them refusing to return it; you can be looking at a long process of proving that the account number you added was wrongly entered by mistake. The usual case where such a thing happens is if the Account Holder’s Name is the same but there is a slight mistake in Account Number. For instance Mr. Amit Bachhan with Account number 4209211 could wrongly receive the payment for another Mr. Amit Bachhan with account number 4209212 where in you may have entered one wrong digit in the account number. If the name of the Payee is different from the payee you intended to pay, the situation is pretty simple, and you will most likely get back your money. You can get your money back since most people do not retain wrongly transferred money, but the entire thing may take some time. The problem arises only when the receiver does not want to give the money; in that case yours and beneficiary bank will have to intervene and sort the matter and it may be a very long process. Hence you should be very-very careful while entering payee details for NEFT transactions. What if you Receive money by Mistake? If you notice that you have received some funds that you are not aware of via online transfer, notify your bank immediately. Yes, it’s always good to receive money, but why would you want to keep someone else’s money? Also if morality is not a problem for you, then explaining the unaccounted money can be an issue. So it is better to notify the bank about it. Once notified the bank will check the beneficiary name and account number and verify if it is a technical mistake that led to such a transaction or the remitter indeed added your account number and detail as a payee albeit by mistake. There could be a possibility that due to a single digit change in the account number, you have become the beneficiary by mistake. In this case the bank notifies the payer’s bank and they may contact he concerned person. If however there is no action taken by that person the money shall remain in your account. If you do not wish to use that money, you can notify your bank about the same. They will block that amount for you, so that you cannot use that money. If in the future the person who wrongly transferred the money contacts the bank, this money can be transferred back after your consent. Online transaction is based purely on the details you enter and hence there is very little role the bank can play in case of wrong transactions. They can at best inform each other about such transactions and then the onus is on the individuals involved whether or not they acknowledge the wrong transaction and return the money or just simply ‘overlook’ such a transaction. Hence is always advisable to be extra-extra careful while adding Payee details for NEFT transactions. An online transaction was made to debit a certain amount in ny account but the bank bounced the money back . Why so ? It could be due to the wrong account number or any other detail mismatch, or even insufficient funds in the account. i have made the NEFT on sunday from Axis to Icici bank but by mistake i have put up the debit card number instead of account no & amount was debited on monday . Can you tell me the reversal amount was reflected in my axis account or not ? Is it possible that there was some other transaction you may have done or the amount your received may have been reverted owing to some mismatch of details? You can speak to your bank branch for the exact reason. Also, the sender of the amount may be able to help out. If the account is closed, the money should be reverted within a weeks time. However, you can bring this to the notice of your branch manager and he/she can guide you with regards to the same. To TALDANGRA Branch, SBI bank. I have transferred money Rs 13800/-through NEFT account number starting 84 in place ofa48 and ifs code and name are correct amount is debited from my account but not credited to beneficiary account. Mt account in axis bank and beneficiary account in bank of India. What is the solution.so kindly suggest what to do. Banks and RBI have made it very clear that even though the account holder’s name and other details are required along with the IFSC – The transactions that happen via NEFT, RTGS or IMPS are solely based on the A/c Number. This means that if the account number entered is wrong, then the amount would be sent to the number which is entered – if there is no such account, only then will the transaction fail. The only solution in such cases is if the person who wrongly recd the money is ready to transfer it back. You can try speaking with your bank’s manager to help you reach out to the wrong beneficiary. I had recently transferred money through NEFT on Saturday ( banking holiday) so their one print come that it will be transferred on next working day ..but still money is not transferred…wt is solution for this. Check if the A/c number entered was correct and check with the bank in this regards, if there was any other issue or the money has bounced back to you account. i transferred money from state bank of india by debit card but I entered ac of ICICI which was wrong one digit I missed to enter (actually 12 digit but I entered 11 digit), but the money is debited from my account how its possible and how I get my money. You can approach your bank’s manager and explain him the situation. Ask him if the money is not transferred to one bank, then has it come back to you account? I have transferred a huge amount from my citi bank to the sbi bank account. But instead of selecting current account, I have selected savings account. Money is being debited from my account but its not been credited to the sbi account holder. What to do in this situtation. By mistake i had transferred money into a wrong account number. so now i want to complaint to bank manager to re-transfer my money into my account? Do approach your bank’s manager to understand the real issue. Before that, do check the account number you had transferred the money to and ensure it was correct. Is bank disclosed account details of wrong transaction to payee by NEFT without permissions of account holder and returned money without consent. How to reverse Transaction of Wrong NEFT Received without Issue of Any Cheque or NEFT/RTGS…Please suggest. Withdrawing from PPF is tricky. It comes with a lock-in period, so till then any amount deposited in it – even by mistake will require a lot of visits to the bank and I have my doubts if you can reverse any entry in the PPF account. I have wrongly transferred the Amt from my ICICI bank A/c to My brother’s HDFC Credit Card Which is already blocked by him. You will have to write to the bank’s credit card department in this regard. Since the card is blocked the amount should have returned. If it is not, then you need to visit the branch manager and explain him/her the situation. I have transferred an amount to wrong benifficiary via IMPS.My account is in Indian bank and benifficiary account is in ICICI Bank.When I created benifficiary by mistake I added the wrong (last two digits got mixed ) number. I have already made a complaint to home branch and the Branch mailed to ICICI(benifficiary branch) but no reply has been initiated yet.Please help me how can I get my money reverse. You will have to do follow ups on your complaint to get it sorted faster. Just to be sure, I send Rs100 for the first time after a benificiary is added by me. Once confirmed by payee, I transfer the full amount. That is a good practice. It keeps the losses to a minimum in case of a wrong transaction. In fact you can even go lower as INR 10 to just check. It is a good thing you do! sir i return my product in amezon , they send payment on my account by neft ,but my a/c not showing payment. 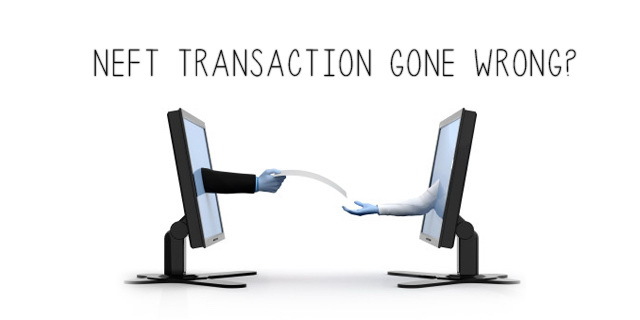 If the wrong transaction was due to the fault of HR dept or bank then your company can help. If it was due to your giving a wrong information or mistake at your end, nothing can be done. Unless the money in the wrong account is transferred back. Can SBH account number accepts SBI IFSC Code? I have added an SBH account using SBI IFSC code wrongly its been in process, does it transfers money or it will be rejected? According to the RBI as long as the account number is correct the transaction should go through just fine. I don’t know actually does that A/C no. Exist or not which was put wrongly by me. The receipt which I have has wrong account number actually the account number is of 14 digits but my receipt has just 12 digits in it. I do not remember whether I have written same account number on both Bank and my copy or right on bank copy and just wrong in my receipt.Or both places wrong. I had done NEFT but unfortunately with wrong A/C no. As ifsc and a/c is not matching the money should be refunded but 7 days have passed but money is not refunded. Don’t know to whose account money has been transferred. What do I need to do.? I make my credit card payment twice via online through two various bank accounts. one of the transaction was made by the credit card hold bank only.How can i reverse one entry to my respective account.Kindly suggest me the solution. Today i came across one of these mistakes but was lucky enough to get the refund after a couple of hours. I mistakenly added 239xxxxxxx(wrong) instead of 293xxxxxxx(correct) as beneficiary account number with correct IFSC CODE for 293xxxxxxx(correct) account which was HDFC0002930 assam and did neft of 5k around 11 a.m.
After delay in credit , i found out about the mistake and googled whether 239xxxxxxx is a valid account number or not and found out that this “series’ of account belongs to some branch in Andra Pradesh whose ifsc was HDFC0002390 . I was scared as hell. Then i called HDFC guy who told me that the account number 239xxxxxxx does not exist in HDFC . It was 3 p.m when i found out a reverse credit transaction on sbi page stating a/c does not exist. Thanks for sharing your experience. Yes, if the account doesn’t exist or there is any issue in the transfer midway then the banks themselves settle the accounts by reversing the entries in 2-3 days. In your case of-course it happened rather swiftly and saved you any further hassle. Do remember – in NEFT and RTGS the a/c number is of primary importance. Wrong A/c generally will result in a wrong transaction taking place. If ICICI bank doesn’t have a 13 digit account number format, most likely your amount will be reverted in a week’s time. You need to contact the branch manager for the same. I have twice tried to send some amount to a beneficiary , filling up the required details and following due procedure. Still, the amount is not debited from my account. Why so? what has gone wrong? Have you tried contacting the bank about this? There could be a problem either at the beneficiaries end or yours. The bank will be the right authority to investigate the reason. Sir, mistakly I transfer money to an Oriental Bank of commerce account and I want to get contact number of that account holder. How I can get. You will have to contact your bank for it. i got some money by online neft from sbi in our bob account, unfortunately i spend some of money from that and i,m not able to pay that money at present and they called me that you return money otherwise we will take action against you. but i want some time for return that money. then plz tell me what is better for me either take a legal action or talk to each other? by the leagle action how much time i get? if i dont want to return that money then is any loss for me?……..
You have clearly used funds which were not yours and the banks have every right to ask for it, to handover to the rightful party. You will have to negotiate this with your bank. I think the issue will resolve itself in 5-6 working days. Might have been resolved already. if the account no is correct and IFSC code is right as well,but name is in bank navin kumar,but i mentioned naveen which is not register in bank so then money would be transfer. Yes, money will be transferred as bank’s give priority to A/c number over names, since names can same for a lot of people but A/c numbers are unique. So A/c number is considered for such transfers. Names are only asked just to give the user a confirmation and to make it easy for them to know whom they are transferring. By mistake I have transfered an amount to my 10 yrs old hdfc bank gujarat account (which i don’t know whether it is active or not). I do not have the valid atm card to withdraw the money. Plz suggest me an option. Is it possible to stop or reverse the neft payment thru ICICI. The bank will be the best authority to help out in this case to determine if the account is active or not and what can be done next. My friend credited an amount of 5Ok to my account today at 1 PM through NEFT but, the same amount got debited at 6 pm and i received an sms with info as “NEFTNAMEDIFFER”. I am unable to contact my friend to confirm this. What should i do, please help me. There must be some discrepancy in the details and hence this has happened. You can get the account details again and add a fresh payee and try again. Either take help from the Bank’s managers and Head office or take the legal route. There is nothing apart from this that you can try. In the month of December i have paid INR 5000 to carzonrent.com as a security deposit. And it was refundable as per their commitment. Yesterday, i got a message from ICICI that INR 5000 has been credited to your account from carzonrent.com. But simultaneously i got one more message that INR 5000 has been debited from your account by NEFTNAMEDIFFER. I am not sure why this happened and whose mistake is this. I have all the proof for the payment and i dont know what to do and whom to blame because i was the beneficiary for this amount as per the commitment from the service provider. Do check the details which Carzonrent had entered, since this is due to some details mismatch for the account you had given to them. Hi sir. I made a transfer over ATM, the account number is correct but the beneficiary name was wrongly typed NW Tshigo instead of MW Tshingo. What could happen in such situation? I don’t see a problem as the account number was correct. I have transfered through NEFT quick transfer of SBT(SBI grp bank) to an SBI bank account in Delhi and found the account number entered was wrong as it is of 12 digits instead of 11 digit sbi account number. one extra number came in middle of the account number by mistake. It seems there will not be an existing account with 12 digits. And also it was done today that is Sunday where SBI rules that no transaction can be processed on holidays. But the amount is deducted from my account and got a message from bank about it. What I need to do for getting back my money. Today being holiday I cant contact the Bank. Will it get refunded on monday if there no account exists? or what I need to do for that. Please give me a sudden reply. waiting for a hopeful reply. If the account doesn’t exist the money will revert to your account in 7-10 working days. This is what typically happens. Was the IFSC code correct. If the account number is correct you should get the money. Check if you do not receive the money even after 3 working days. I didn’t get it. You made a transfer that was successful. Now whether or not the person can withdraw the money is not your concern. Ask him has he received the money in his account? If the account number is correct, he will receive the money. Don’t worry about the name. Hi. I am Shalini. Last Friday IISER, Pune made a neft transaction to my account. But I have still not received any amount. Does neft transaction take that long? I don’t know what to do. Dear sir I m using sbi online mobile banking and transfer money to Ubi bank but I transfer money in wrong branch means ifsc code wrong but account number and name all true but money does not reach and not return what should I do. I transfer in 29dec2015 and till today 4jan2016 it not solve. Tell me it solve or I forget it. Write to the Head office of the bank. IF the account number is correct the money should have reached. Also ask that where and in which account of which bank has the money been credited if it is debited from your account. Also meet your branch manager and ask him this… where has the money gone. I have transfer a amount to my friends account but afterwards I got to know that his account is deactivate some time before, and then I checked my transaction status is successful and amount is debited from my account. As both the bank transaction used is ICICI so any sugesstion that will be helpful for me? Contact the ICICI Branch manager. A Deactive account doesn’t necessarily mean that the amount wont be credited to it. So you need to get this clarified from the Branch Manager and your friend, the by deactive does it mean that the account is frozen and no transactions can be done in that, or it is deactive due to lack of use or lying dormant and your friend not using it. So the branch manager is the best person to guide you. I have transferred some amount to an axis bank account number through my icici account. But unfortunately added an extra zero at the end of the real axiz account number. The amount has been debited from my icici account but not yet credited to axis bank account. Will it be auto reversed?? Will the transaction declined automatically?? The transaction will be auto-reversed only if such an account number doesn’t exist. If there is an account number similar to that, then the amount will be credited to that account. Remember, the NEFT transactions are done through A/C no. only and IFSC code and other details are required as only for records to cross verify the account details. Ye, if the a/c no is correct you will receive the money. I am having a situation here. Recently I have become a victim of Net banking Fraud with HDFC Bank. Someone, hacked into my net banking account and stole away sum of 3.5 lacs. It also had one transaction done as NEFT to a different bank (as rest were intra-bank transactions, within HDFC). This NEFT transaction was initiated on Sunday around 6:00 AM and I got to observe it on the same day around 9:00 AM and immediately got my account seized. Phone banking officer told me that all the transactions and beneficiary accounts have been seized as per my request as a first action. To add to my surprise, when I happen to visit a home branch on Monday (very next day), concerned person informed that despite of I have requested on stopping NEFT transaction on Sunday, that transaction could not be blocked and it had already settled in beneficiary account on Monday and they cannot do anything about it now. I am frustrated with this and really need advice as it might be the only amount I could fight for and which could be saved from the total fraud as it seems they are not really in position to track the money in the beneficiary accounts within the bank as well. Request you to kindly help with your suggestion. Since it is a fraud and even the bank acknowledged the fact that they did not respond to your request of stopping those transactions, then they are liable to investigate the matter and also compensate you for the same. 1. You should speak to higher authorities of the bank and give them a week’s time to respond or inform them that you will have to take the legal route. 2. File and FIR for online fraud with Cyber Cell. It is very important you do that in order to have a scope of getting your money back. I transferred Rs. 30,000 to an institution which required my payment by NEFT NetBanking. Whilst sending the money, I typed the name of the institution wrong. However, the A/C number, IFSC Code and all other details were correct. When I checked my Bank statement, it showed that 30,000 was debited from my account. Should I face any difficulty,because I typed the account name incorrectly? It is all good. You need not worry. NEFT transactions mainly depend upon A/c Nos. as far as that is correct the money will land in the right account. I have by Mistake Transferred money To an account Number of corporate bank. The Account number which I had was like SB/01/******. But to add beneficiary the sbi didn’t allowed me to input / in account number so I did some googling and entered the number without / like SB0100****. After the Benificairy was added I made a transition And My Balance Was Deducted. Later on I got to know that neft number of that account is different, corporate bank provides a different neft number . Please tell me the steps I could take to get my money back. As I went to corporate bank and they told me that they have no such account number into their BANK. Now please help me out with this matter. It is a classic case of banks not reacting fast or smartly. In this case if your money is NOT deposited to any bank account as such, then the obvious question is where is the money? Meet the branch manager, write to the head offices of the bank and also send and email to the highest possible authority. It is the only way to get this matter solved quickly. Hi, I had similar case where I have updated wrong IFSC code (by mistake) when Amazon issued me a refund, so it was expected that payment will be rejected, however I have been informed by Amazon that my refund amount was deposited into my ICICI Bank between 29-Nov to 7-Dec. but there is no credit to my bank yet. Amazon has given me a refund reference number and asked me to get it back traced with ICICI bank. When I contacted ICICI bank, they searched the payment with given reference number and could not find any payment and asked me to contact Amazon only. Amazon guys are saying that they get the refund reference number only when payment has been made successfully, hence it is surely with ICICI bank and asked me to file a charge dispute by calling ICICI Customer care. ICICI is refusing to file any dispute because there was not payment received on the given date with the given reference number and asking me to contact Amazon and ask them to file a dispute in their bank. It been a month and I am stuck in a loop where both of them (Amazon and ICICI) are not willing to take a step forward to get this payment tracked. can you please provide your expert opinion what should happen in this case, and where should I go to get payment credited into my account? Just don’t depend on the local branch of your bank. Either visit the manager at your branch or write an email to the headoffice or senior bank authority as well as send a written communication of the same. Some matters till the time are not raised with the highest authorities are never solved. sir i did on line transaction of transferring Rs.70000 with BOB bank on Dec.8th 2015 by mistake i transferred money to wrong account nomber.i wanted to transfer money to raj kumar sharma A/C no.29570100001646 BOB,jhotwara,jaipur but by mistake i transferred to someone by name suman sekhawat A/c no.2970100001645BOB,jhotwara,jaipur. i gave written letter to my bank manager SBI,vidhan sabha marg lucknow where i am holding a Saving account no.is 20048742494 and my manager send the mail to BOB jaipur but there is no any result so ple. suggest me what to do next. You need to follow up this with an email and a written complaint with the Head Offices of BOB. They would in turn put pressure on the receiver to refund the wrongly recd amount. Plus you can even put pressure on the bank to block the Rs. 70,000 in the account of the receiver. If you claim in genuine, in this it looks like it is genuine, then banks will block the funds. If the receiver has already withdrawn the funds, then there will be a standing instruction to block the amount of funds as soon as they are available in the account. I have given a wrong ac number to my friend to transfer using neft. but after I got to know the ac number is wrong I contacted my branch an fortunately came to know that the wrong ac number is inactive and no ac is created with that num. My friend made neft from SBI bank. when he approached the bank the person told that they can’t do anything. Kindly help me to get my amount back. If a payment is made to NO account, then ideally the payment should come back. If you do not receive the payment back to your account in 7 – 10 working days, I suggest approaching the branch manager and writing to the head office of SBI. I made online transfer from My SBI NRI account to my SBM Education loan account through state bank group option in online website. My final loan settlement amount is 19950. But my mistake i sent 20000. In my SBI account, the amount is debited. But in my SBM edu loan account, amount is not credited . I wait for two full days, but not credited yet. FYI i made some transaction previously between these accounts and was successful. But this time, amount is not credited. If automatically revert back , then how many days it will take to credit in my account. So please guide me, what can i do to get back the amount, if automatically not done. You can wait upto 7 working days to see if the entry is reversed. If not, then approach your bank branch for the same. If the people at the desk are not helpful, you can meet the branch manager. I made 2 transfers from Kuwait thru Dollarco Exchange to Bank of Baroda, Goa. Later I realised that I had saved my account as 1402 instead of 1042. All other details were provided like the Name, branch, IFSCode, address. As I understand from your previous comments NEFT are done solely on account number, that’s exactly what happened. Dollarco corresponding bank, Federal Bank made the transfer and the money landed at Bank of Baroda station branch, Moradabad in U.P. The beneficiary has withdrawn the entire amount. Could you please advice best course of action to get my money other than contacting the beneficiary, which is certainly impossible. The best course of action is if you can trace the person who received the amount and can request a refund, that is the easiest option. The other option is to speak to the Bank of Baroda branch in UP and trace the person and get him to refund the money, which doesn’t belong to him. You can pressurize him/her through the Bank’s Branch manager for legal action if he/she doesn’t refund the money. This is of course something you can try. The problem with online transactions is that the person making the transaction is solely responsible, and hence banks sometimes avoid taking much action. If you can write an email to the Head Office of Bank Of Baroda in UP, maybe they can suggest some action. I made a neft transfer through an agent from New Zealand, the IFSC code is not correct (we have used this code for years). The payment has come back though any reason(s) why the IFSC codes change? I am going to call and find out if the branch is even open now. Its Bank of Baroda. All other details are correct. IFSC codes generally do not change very frequently. It can be a reason that the bank’s online database sometimes does not have the IFSC codes updated and hence will show up as a wrong IFSC code even when the code is correct or other banks are OK with the same code. For example, lets say you have Bank A and B. Now A has all the IFSC Codes of other banks updated in their online banking database, while bank B has done some and some are pending. You have accounts in Bank C. Now you generally transfer money from A to C using the IFSC code and account number and everything is fine. Now one day you need to transfer money from Bank B to C and you try to put in the same IFSC that was working well for A for a long time, but because B doesn’t have the IFSC code entered in the database, it shows you wrong IFSC code. This is a possibility. As I have myself, experienced it with a lot of banks, wherein if you visit the bank’s branch and do a transfer through them everything goes off well, but if you do it online, then some IFSC codes appear invalid. This can be a reason. The other reason could be the bank has simply changed the branch location and for that reason the IFSC code is changed. The bank will be the best guide on this one. I have transferred amount to a wrong account via neft, My account is in ICICI BANK aurangabad,maharashtra. and beneficiary account is IN Central bank of india,krukshetra ,hariyana. This beneficiary account is added in my payee list, Unfortunately I have selected this account and made the transaction without reading appeared message. Now i am not able to contact that person due to lack of beneficiary contact deatails. i want to recover my remittances. please anyone guide what to do , I also talk with Central bank but they say amount is withdrawal by customer. & also got his no but the person is not receiving call from any number. so kindly suggest in this regards. It is very unfortunate what has happened here. However since you had (eventhough by mistake) yourself made the transaction, there is nothing much that can be done unless the other person decides to revert the money. Even banks can at best block the funds at your request, but for that you need to prove any wrong doing, which in this case is not since you had done yourself overseeing the messages or without double checking. Your best chance is to try and get in touch with the person and request a refund. You will have to approach the RTO contact us page and get in touch with the authorities about it. There is no automatic way of getting it done. Yesterday I had transferred Rs.30,000 from our office account is Axis Bank to my Corporation bank savings account via NEFT not done online by physical done by our office person but entered wrong IFSC code [last 3 digit entered 278 instead of 273] amount debited in axis bank account but not credited in my corporation bank. Today morning i approached axis bank branch executive and hr told me that amount already settled. But my corporation bank people said they have not received. And Axis bank people are telling me that corporation bank account no which i mentioned in NEFT form are wrong not core banking one. I have mentioned account No. correct SB01010718 same confirmed by corporation bank. IF IFSC code is wrong and account no. is not core banking account how can transaction successful. I really fearing now whether i am receive my money or not. Is there any chance of money transferred to other account ? NEFT transaction go through on the basis of Account Numbers and IFSC code’s wrong last digit shouldn’t have mattered that much. The thing is every bank has unique account numbers so even the account number doesn’t repeat in another branch. You should take this matter up with Axis Bank Head office and write them about this. This your best chance of settling this issue. I got my money. Actually the amount transferred to suspense account of corporation Bank branch which i wrongly mentioned.I spoke with manager he asked an e-mail from Axis Bank which they did within 3 hours after i got back funds. Next time onwards while doing NEFT or RTGS should take extra care, but i doing since 5 years this is happened for the first time. Thanks for your reply. HI, I have an account in sbi. To pay monthly Payment for my internet i have wrongly paid for the entire year. It happened just now and the amount has been credited. Is they any way to get the funds returned ? Unfortunately there is no way you can get the amount back yourself. What you can do is contact the customer care of the internet company and lodge request for refund with them. If they agree you can get it back. I would like to reserve the cash to myaccount, is that possible?? I am afraid that is not possible. If the cash is transferred via online banking there is no way to get it back, unless the person who received it transfers it back. You can explore legal options in this case, or else there is nothing you can do. I was transferring money from Germany to India through money2india. But during online transfer from Deutsche Bank account, I transferred money with wrong amount and without reference. What should I do now? I am not sure of the exact process that money2India maybe using, but I am pretty sure they will need the account number to which the money is being transferred and also your details as in the account number. So if only the amount is wrong then you can transfer the balance again or if the amount is more than what was required then you can ask the receiver to transfer yo the excess amount again. See if that works out. The best practice is to always be extra careful in financial transactions. In my case I have entered account number,ifsc code of beneficiary HDFC account correctly but by mistake I have selected Account Type as Savings instead of Current. Is it possible that same account number will be there with account type savings?? I am not getting what I have to do now. If the Account number is correct then you need no worry. It is very unlikely that he Current Account and Saving Account will have the same number scheme. So you need not worry. I transferred an amount of Rs 7500 from my ICICI bank to one of my friend’s HSBC credit card. However when i contact him to confirm the receipt he told that ha has deactivated the old credit card in which i had transfer the funds. I immediately contacted the ICICI customer care and they said once anount has been debited they can’t do anything unless HSBC return back the money. Can you please advise how i can get my refund? ICICI is right, they can’t do anything in this matter since they are simply an intermediary who transferred your money to where you instructed them online. There can be help if your friend can pursue the matter alongwith you with HSBC and take it upto their headoffice. Generally Head Offices to respond to these things faster as compared to your local branches. That is your best chance. You can send them and email and also courier/speed post a written request. I had transferred an amount of Rs. 15000 from my Deutsche bank account to an ICICI account of Gorakhpur branch as part of purchasing a product from the person. After the amount was deposited, the person is denying to send the product. I have the PAN details of that person and his account is very much active still. Is there a way that I can get back my money using the above details? I have also filed a case in the nearest police station, but they don’t seem to be interested as it is a small amount according to them. This is a legal case and your best option is to file a case against him, if the police aren’t listening. If the individual has a registered office/shop or is a seller of some kind then you can file a case in consumer court too. Apart from that there is nothing else you can do, since if an amount is transferred online by mistake then the banks can intervene, however if not then there is only the receiver and you who can mutually decide to settle things and get the amount back. Police should actually help you, it is very sad they are not. This is Siva i transfored amount 3000 through neft by mistake i choose ifcs code (for arambakam of chennai instead Andhra Pradesh) wrong from citibank acc (chennai) to sbi acc (chennai) instead of sending to sbi acc of Andhra . i checked with my citi bank ,they told your money has credited successfully to benficiery acc . i tried to call to chennai sbi they told money refund if ifcs mimatch. almost 10 days over but i did’nt recieved . please suggest best way to trace and refund my money. So if the account number is correct, the transfer should have been to the actual receiver only. You need to check it with your bank. everything is right account number,isfc code,branch name all the the things its been more then 2days the beneficiaries didnt get the amount can u please tell me the reason of it..
i have done branch nift or rtgs. Do check again the amount would have been credited to the beneficiary. If all is correct there is not reason for the amount to not go the beneficiary account. At times a couple of days may go before the transaction is successful. Only problem that could have happened if during the transaction there was some connectivity issue and the transaction couldn’t be completed, but even in that case your money will return your account within a weak. So I don’t see a reason why there is this problem. If the amount from corporation bank is debited due to name and account number being different then it should ideally go back to your SBI account since that’s where the money is. Also you should meet the branch manager and ask him simple thing – If the money is credited to the correct account, then how without anyone’s information or anyone asking for it, did the bank debit the money on its own. That is not allowed. In NEFT transactions the bank is not involved to decide if the transaction is successful, until and unless someone objects to the money being wrongly debited. In your case you yourself have done the transaction, so there is no question of anyone objecting. 1. Why did the money which was successfully credited to your Corporation bank account got debited without anyone’s permission or objection, when the transaction was successful. 2. If the money is debited, where is the money? Is it returned to your SBI account, if not where is the money. If he does not listen, then write an email to the Head Office of Corporation bank and they will definitely revert on this. DO let me know if this thing is sorted out. All the best. I was transferred money by NEFT from SBI to AXIS bank.all things are correct exa account no. Ifsc code etc. The person was successfully received the amount.but due to some reasion i want my money back. I tried to contect with him what i cant able to contect with him. I want my money back is it possible and tell me how. Since the transaction was done by you and the account number is correct, and there is not element of a mistake or fraud, until and unless the other person wants to give you your money back, you won’t be able to get it. Money transferred online is mainly dependent on the Account Number, and the other details like IFSC Code and Account Holder’s name are part of the confirmation and verification process while adding the payee. In this case I am afraid there is nothing you can do, until and unless the other person wants to give you the money back. Rs5000 plz sir help me. Sad to here about your situation. However in this case nothing can be done until and unless the receiver of the amount wants to refund the money. Since there is always a confirmation asked before you add a payee and due to which any transaction made after a payee is added, is a valid transaction even if the account number is wrong by mistake; since that is human error and not a mistake on part of the bank. In your case you can meet up with the branch manager of your SBI bank branch and he will guide you in trying to contact the receiver of the 5000 rupees. If that does not work out you can write an email to the SBI and ICICI headoffice explaining your problem to them and they will definitely respond and also try to contact the receiver and if he is willing, you can get your money back. I have a question slightly different from the above – If I received money into my account from somebody via NEFT, is it possible for me to find out the details of who transferred the money Do banks keep these details? You will be able to find out the name of the account holder who made the transfer from your bank branch. They will be able to give you the name of the account holder for sure. If the Account Number is correct the amount would have been transferred to that. The thing is every bank has a unique numbering system so there are no chances of a same bank having two accounts with same number even in different branches. So your money going to a wrong account is not possible. However if you need to check, visit your HDFC bank and ask for the account number to which the amount is transferred, I am sure the account no. of Indusind bank will be the one you wanted to. In case the amount is wrongly debited to some other account, in that case you will not be able to recover it unless the other person or the receiver is willing to transfer the money back. You can contact that person with the help of your branch manager or writing an email to the head office of HDFC. I had to pay fee for an online application form using NEFT. So i added a beneficiary using mobile banking (State Bank Freedom Mobile App) using details given by them. Then i did the transfer which was successful as money was debited. Later i checked beneficiary details & the account number is different(some random letters). I feel it might be due to virus or something because there is no use of encrypting Account number. Now my question is what how could money be debited if account number is not correct. One more thing is that the institute has asked to enter online application ID as account number. Hows that possible? To transfer money i need a physical account on receiver’s side. Isn’t it? P.S. I didn’t get any help from Home branch or their customer care services. This sounds pretty fishy. The account number required has to the account number where the money has to be transferred and not any Application ID. As far as the thing where the account number being changed is concerned, in that case the account number at the time of making the payment matters. So if at the time of making the payment the account number was fine in the system, then the payment will go through. If you checked later and the account number was some random numbers/letters that could be for various reasons but the account number at the time of payment matters. I suggest you discuss this with your branch manager. Since he will be able to understand the situation personally. If the account number is correct, the amount will be transferred to the right person even if there was mistake in the IFSC code. Since the account numbers are unique, and it is highly unlikely that a different branch with a different IFSC code has the exact same account number. So if the money is not transferred yet, it will be done. Be rest assured. If still you find the money not transferred to the beneficiary, then simply email the Head Office of your bank, explaining the situation. You can firstly try to approach your branch, but in these cases they would be of little help. The Head Offices generally act quickly in these cases. It will surely sort out the issue. I did a NEFT transaction from my HDFC to SBI account, the transaction went through but amount was not received to beneficiary account. Previously have also done transaction with this account and everything was fine that time. Later I come to know that the beneficiary account got transferred to some other SBI branch but in this case account number remains the same and the IFSC code have gotten wrong. I contacted the SBI branch and they are saying they have not received any amount. What should I do in this case. Your valuable advice is much needed. Firstly email the copy of your bank statement of HDFC to SBI H.O. or the e-receipt or some proof that the transaction has taken place and that the money is debited from your account to this SBI account. In that same email. Explain your situation in that email. The thing is branches may not respond so pro-actively but the seniors and higher ups sitting in the HO are more accountable in terms of payments received and especially unaccounted payments, since in this case if the transaction went thru, it must have gone to some SBI account right? So they will look into it. Apart from that the thing with NEFT transactions is that if there are two valid account numbers mentioned a transaction that is, one being the beneficiary and the other the account of the sender, then the transaction usually go through, even if there is mismatch in IFSC code. bcoz firstly bank has not provided pass book ..n said ur account no. this n branch code is this ..i was not much aware of that…branch code come before the account no. I forgot to write branch code before account and i did NEFT to nepal..
i want to know that ..my money will return or forward to benificiary account..
but the all information is correct.. If the account number is correct then most likely the transaction will go through. The IFSC code is for branch identity, however for the actual transfer to take place the account number is verified and if that is in place then the transactions do go through. I did a NEFT transfer, the account number and IFSC code is correct, however the Account type I entered is wrong i.e. instead of Cash Credit I entered Saving Bank. The money got debited but the recipient has not yet recieved the amount. its been just a day since I tranferred the amount. Should I wait for some more time or approach the Banks? My Bank is IDBI and the recipient’s is NKGSB Bank in Mumbai. You should wait for a couple of days and if still the person did not receive the money, then you should write to the bank explaining the situation. Generally the Account types have a certain format of account numbers, so the type of account should not matter so much. But still, if the person did not receive the amount after 3 days, then you should send an email to your bank’s head-office. received a rtgs fund from my former friend turned enemy, i have withdrawn a part of it, after which my bank informed me that the rtgs was a fault and i will have to return it, my bank even went a step further and freezed that remainder balance, now the problem is i cant talk to the person, how can i get my balance unfreezed??? please advice !!! If the transaction was for something that was legally due to you, then you have the option to show some legal proof to the bank and try to get it unfreezed. You can write an email to the head-office of the bank explaining why you are entitled to that amount. However if there is not proof as to why that amount was due to you, then your only option is to get the other person to talk and sort this matter out, since banks act on the instructions of this person, and if he has successfully been able to explain to the banks that it was a mistake, then it that reason why the bank froze the rtgs. You need to first ask the manager whether the account is active. He said closed but if could be a dormant account too and if the account is 100% closed and not in existence, then the money you have paid will be credited to your account in 7 working days, generally. In the meanwhile you can contact the customer care of your bank to inform them of this issue. If the account is indeed closed, your money will be reverted. On 02-01-2015 i transferred 11000/- from Axis to SBI th: IMPS, while transaction there was a flash massage appears in my computer that your transaction was not successful, my axis acc. debited, after 72 hrs. the amount was not refund, then i call axis help line, and the executive took my complan & told me that maximum 7 working days my amount will be refund, the executive also gave me a complan number. Now I want to know that if I follow the process properly or not, if not then please suggest me what should I do? I have Incorrectly updated my Bank IFSC Code (HDFC) in my Insurance website (UHC). However, My Account Number and name are correctly updated in the UHC website. Insurance team had made the payment for my Claim Reimbursement to my correct Account number, but used the wrong IFSC code that I had updated in their website. It’s been a month that the UHC done the funds transfer, but I have NOT received the amount to my bank account. I neither hear from HDFC anything about my funds whether it got stucked with the HDFC bank nor the UHC confirm if their transaction to me went fine. Please suggest me what I shall do in this aspect to get my funds? I agree i have given the wrong IFSC code, but since the account number and name are same, do the funds gets transfer to my account? As per your above replies, i understood that though the IFSC and account number should technically match for processing the funds, there are cases if the account number is correct, funds should transfer irrespective of wrong IFSC. Here, in my case that doesn’t seems to have happened. Kimdly suggest what to do next in getting my funds back? Awaiting for your kind response. Sorry to hear about your situation. Yes, sadly there are cases where even mismatched IFSC codes and Account numbers have resulted in transactions going through, which technically should not be possible, but it still is. There not clarity as to who is responsible the Banks, the customers or the Software or Code processing this payment. Anyway as per your query, the step that seems to be more effective in reaching a proper solution is to not go through the customer care of the parties involved since customer care guys are just paid to process your complaints and they are not in a way responsible for the image or brand value of the company. For them it is just a job and they are fed lines and responses to tell customers when contacted. You should write a letter and also send the same in email to the respective head offices of the company. Nodal officers are usually appointed to deal with such issues. While on your part wrong IFSC code was a mistake, you did update it right? So after that still how did such a blunder happen? Thanks for your prompt response Aniket. I really appreciate your support for people like us. Today I heard from UHC saying that they had transferred the amount to my company’s Main account as the transaction failed due to the incorrect IFSC. That says, the amount has been received by my company’s payroll team and they are processing it for my payment. If you receive money that is not yours via NEFT then you should first inform the bank and never ever spend it, since it is not your money. Because if it is wrongly credited to you they can ask it back. I think the matter will be resolved if you talk to the manager, and they should be OK. Even the bank needs a solution and wants it’s money back, at the same time from your point of view, you did not ask for that money, it was in your account for whatever reason and then you spent it, so even though it was your mistake, still the bank cannot hold you Alone responsible, because the mistake could have been from the Bank’s end or from the Person who wrongly transferred the money. So all this thing should be resolved if you personally meet the manager and talk for a solution. All the best. While doing a transaction, instead of writing the 10 digit account number ( of Kotak Bank), i have written 9 digit MICR code, by-mistake. So typically to say, all digits are incorrectly entered. But the Name and the IFSC code is entered correctly. Money is debited from my account. Is there anyway to fix this. If what you are saying is true, it should have not happened in the first place. Take it up with the bank that how is it possible that a transaction goes through when the account number is not even valid. Forget correct or wrong account number, the account number should not have even been valid for the money to be debited. Is the beneficiary who received the money the right person who wanted it, you have not mentioned that. If it is not, then write about this to your bank’s Head office in an email they will resolve it. But IFSC code is wrong, It is of another branch. I have made a transaction, Will it go if it has same account number? Ideally the IFSC code tells the Bank about the branch where that particular Account number is held. So typically they both should match for a successful transaction. However, it is known that many a times even if the IFSC code is wrong the amount does get transferred to the beneficiary account. This is from the various comments I have received over here and from a few friends. So check for the transaction in your bank statements, If it hasn’t gone through make the changes in the Beneficiary and initiate a new payment. If the payment has gone through to a wrong beneficiary, write an email to your bank’s Head Office about this, they will resolve the issues. Customer Care will not be able to do anything, so the best option is email to the HO. I have transferred money from SBI to axis (Already added in account) . Instead of transferring to hdfc . (Already added in account) ..This was done through sbi online banking .. transfer done on Saturday .. so can any one suggest best possibility to get back my money ..
axis bank person 3rd person unable to contact.. In this case you will have to contact the person who received the payment. The other option you have is to write to the head office of SBI and Axis bank, but since the error is on your part, even after the Payee was already added, the banks may try to as you to contact the person who received your money. In such cases calls to the Banks will not help. You will have to go and meet the Branch Manager personally and explain him the situation. Also you can write an Email to the Head Office of your bank and mention your problem. They will respond and your query will be sorted. But calling the bank alone will not work. Hope you can recover your money soon and this helps. All the best. Hi… i have done a neft transfer from canara bank to icici bank… but unfortunately the account number ( first four digits) went wrong and the ifsc code is correct. Is there any chance that i get my money back? You can get your money back but it will not be simple. You will have to approach your Canara Bank branch to pursue the matter. If that doesn’t help then write to the head offices of ICICI and Canara bank over email about your problem. The matter will be sorted but will take a bit of time. All the best. I need to transfer some huge sum(lacs) to my Builder for purchase of property. Is it OK if I do it via NEFT/RTGS or make a cheque payment. I am somehow not very sure of the online process, and since its interbank transfer I am just worried. Kindly advice. If online is fine, should i go with NEFT or with RTGS, any advantage of one over another. NEFT is used when the amount to be transferred is less than 2 Lac. In your case I presume the amount will be a lot lot more than that and hence your only option is RTGS which allows for amount transfers above 2 lac. If you are careful and check the Account holders name, Account number, IFSC code and other details…. Then you need not worry. If you feel there could be any risk of sending the money to a wrong account then cheque is of course, the tried and tested method and you can opt for it. But RTGS or NEFT if done carefully are both safe and you shouldn’t be worried as long as you check the details of the receiver carefully. While filling my IT return i have got asked for bank details, that is wright, i gave correct account no but gave wrong IFSC code. My bank acc is in ICICI bank Kerala. I gave ifsc code of other icici bank branch. Will it be ok or transaction will fail? Technically IFSC code and Account Number should match, however it is seen that at times that even when IFSC and Account number do not match, the transactions go through. In your case you can always go to the Income tax official website and make corrections. Your CA can also guide you. I followed your advice and sent letters to Citibank, but they wouldn’t even acknowledge it by saying that they acted based on the information provided by me. ANd Axisbank Nodal officers are directing me to reach out to the remitting bank (Citibank) with my issue at hand. Both Banks are playing bone and the dog game with me and I am frustrated and clueless who to turn to for advice. Please assist me with what options am I left with to get both Banks to acknowledge my issue and assist me with recovery of my money. It will very helpful if you can assist me with understanding that if this a right scenario to raise a banking ombudsman case against both the banks and how do I go about doing it. I wanted to transfer funds from my new Citibank account to my main account in Axis Bank. When I created the payee I added the wrong account number (one digit got mixed up). But I did add the IFSC code of Pune where I hold my account with my name as beneficiary name. Now the transfer is initiated from Citibank to Axis and Axis bank actually went ahead and pushed the money into the wrong account. In this case the wrong account holder’s name is different from mine and also his IFSC code is not of Pune. So even when the other 2 important details – IFSC code and Beneficiary name did not match my money went to the wrong account. I am very upset with Axis Bank’s functioning. Is there a way that I can take any action against the Axis Bank folks for their error on their part. I have been under tremendous stress and now am chasing with the recipient of money to pay me back and its not going well. Please advise what are my options. Can use a legal entity to get faster results in this regard? Would eagerly waiting for your response in this regard. Sorry here about your situation. Well as far as the wrong account number is concerned it will be on you. The bank’s first defence is your mistake. However as you rightly pointed out if the ifsc code of the branch and the branch where the account is held does not match then the transaction should technically not go through. Your options here are ofcourse the ones you have tried that is talking to your bank and also contacting the beneficiary. If that is not working out for you well, you should write a detailed email to Citibank HO as well as Axis Bank HO. These things often don’t get attended too well at the branch level and hence the higher ups need to know. If this fails too, then you can have a legal case purely on the grounds of IFSC code and account number branch mismatch and still bank pushing through the payment. But that should be last resource. Account holders name is mostly for your reference to cross check and to my knowledge the net banking transactions cross reference the Ifsc and account numbers only. So on that part it is a mistake on bank’s part too. Try email if all else fails you can speak to a lawyer. As far as your situation goes, I can understand what you are facing since dealing with a nationalized bank like SBI can be difficult since they are not as cooperative as private sector banks in such matters. Having said that, the account number and bank branch is displayed on screen for confirmation before you finish adding a payee. If u click Ok and payee is added but the account number was a mistake, I dont think bank has a way to cross reference that information and hence the wrong payee may be added due to wrong account number. In your case since the money is definitely deposited in someone’s account so obviously that account does exist and Himachal branch’s claim of it not existing is false. Apart from that if account doesnt exist then how come Axis Debited the account and SBI credited the account? Both are answerable. Since u are an Axis bank customer you would be better off visiting the branch manager and discuss with him to find a solution. Write a detailed email to both Axis and SBI head offices and inform about your problem. It will draw some attention to you since branches arent bothered so much with such cases but Head offices do. You would also have a record of the account number to which the money is deposited, visit SBI with that and try to reason with them how the account does not exist according to Himachal Branch. U will need patience in this case and your first step could be Axis bank manager of your branch and then email and then approach SBI. I hope your ordeal ends soon and you get satisfactory solution. As a matter of fact the situation is little different . The Himachal branch could not be contacted as no one picks the phone that is given on bank site and net. On another number a modem is connected it seems so communication is not possible . I went to local SBI and they showed be the message for the account number I mentioned the response was account is not valid .I tried through three contacts in different city but according to SBI managers this account does not exist. However when I contacted call center of SBI giving them UTR of AXIS they said money is credited to account when asked for details they said that cannot be revealed. Do branch have accounts which are not on computerized network of SBI , if so how execution took place electronically ? AXIS bank manager sent me execution report of date of transfer and is now asking me to contact SBI . My contacts in SBI tell me that money may be lying in suspense account of bank but the branch is not reachable even in this electronic age. I fully realize that it is my mistake that I entered a wrong number but on AXIS site it does not ask for any authentication from other side like HDFC does. I have mailed the head office of SBI let us see what happens. In that case it is very strange for the call centre to confirm that the account exists and for the SBI guys in person to say it does not since in today’s time of core banking all accounts got to be linked. Your hope is SBI’s and Axis Bank’s Head Offices reply to your emails and what action they can take for this. Because money is transferred somewhere that is for sure and hence there got to be an account for it. Dont blame yourself much, mistakes happen. In worst case scenario your option could be consumer forum to atleast have SBI answer about the whereabouts of your money. But thats a last recourse. See what your replies email’s get. Received a mail from DGM SBI ‘S office that amendment is done and money credited to correct account. Received cinfirmation mail from Himachal Tourism too. Glad to know your problem is sorted. Usually email to higher ups does work in such cases. Great to know your trouble ended on a positive note. I have transfered amount to a wrong account via neft, My account is in ICICI BANK and beneficiary account is IN SBI bank. This beneficairy account is added in my payee list, Unfortunately I have selected this account and made the transaction without reading appeared message. Now i am not able to contact that person due to lack of beneficiary contact deatails. i want to recover my remitances. please anyone guide whta to do , I have also asked many time in icici bank branch office and they said tath pls contact that beneficiary. so kindly suggest in thsi regards. There is actually not much you can do in this case. As long as the receiver doesn’t acknowledge the fact that it is payment received by mistake, the bank cannot reverse the entry. Your best option is to speak to your bank manager or if the SBI branch to which you transferred is in your city then you can speak to that branch’s manager to arrive at a solution. It is the best option you have.